Look out for issue 105 of The Knitter as I've got a beautiful shawl, Candyfloss, in this issue. 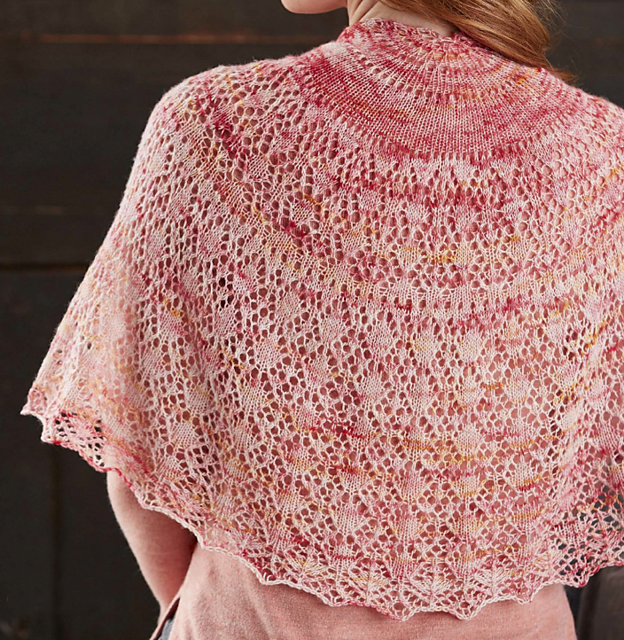 Candyfloss is a beautiful semi-circle shawl which is knitted in Walk Collection Delicate Merino which has 600m per 100g skein (which makes it a heavy lace weight yarn). 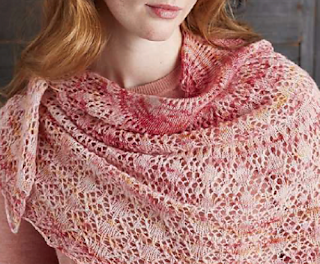 It's a gorgeous yarn and this was my first experience with a Walk Collection yarn but hopefully not the last time. 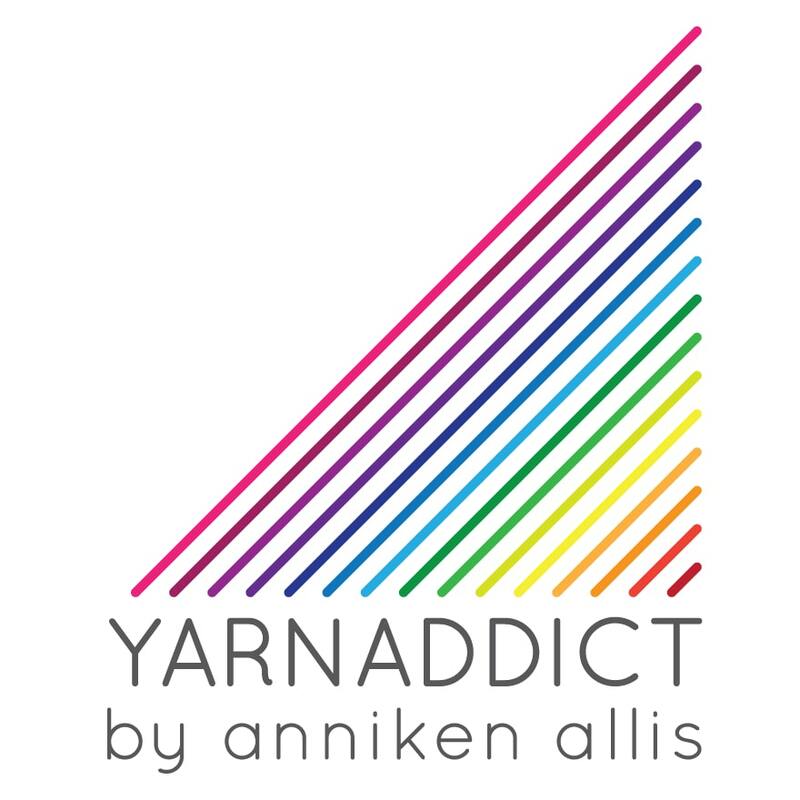 Jen knitted the sample for me and she did a great job as always. 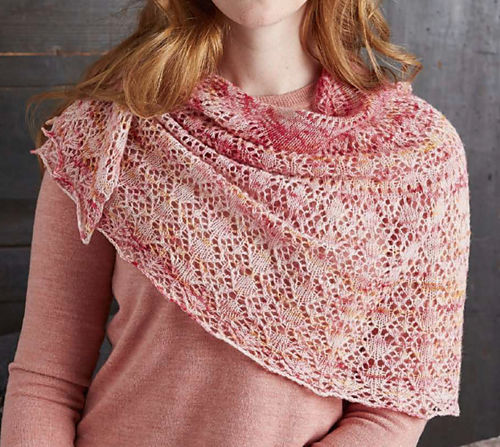 This is what The Knitter said: A semicircle is an attractive shape for a shawl, and this pretty design by Anniken Allis is easy to wear and will add warmth and style to your outfit. 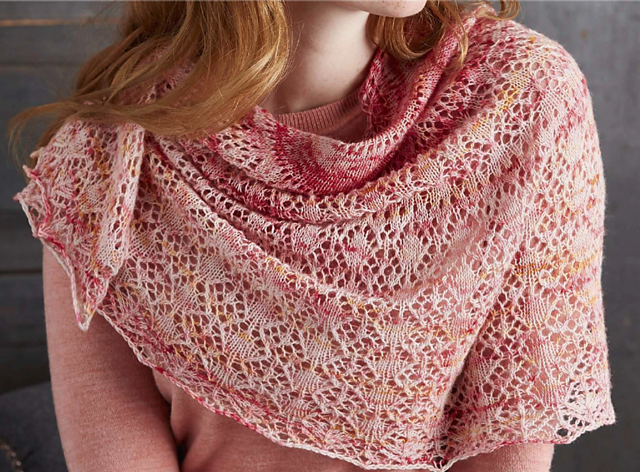 She has knitted her shawl using a variegated merino wool yarn from German independent dyer Walk Collection; because skeins are handdyed in small batches, each colourway is available in limited numbers. Look out for The Knitter in the shops in the UK this week. My issue came last week and it's full of gorgeous patterns. I'm looking forward to sitting down to read it properly.